Prototype laserdisc game. Did development start or was it only announced? Meant to have been on Universal's "Laser System 1" hardware (same hardware as "Super Don Quix-ote"). 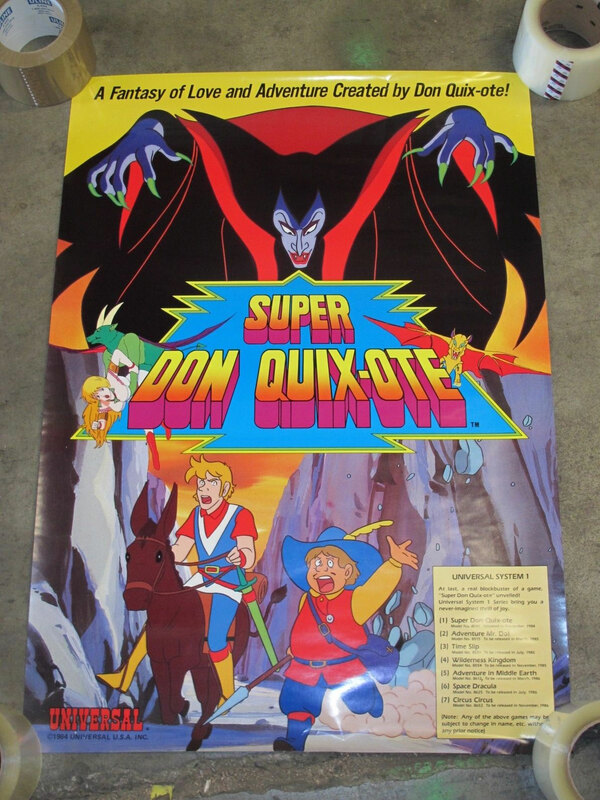 According to the Super Don Quix-ote flyer below, this game was "Model No. 8554 To be released in November 1985". Another view of this flyer can be found here at Dragon's Lair Project. Wilderness Kingdom at Dragon's Lair Project. Universal Laser System 1 flyer with Wilderness Kingdom mention at Flyer Fever. Universal flyer with Wilderness Kingdom mention at TAFA. This page was last modified on 5 June 2017, at 04:16.